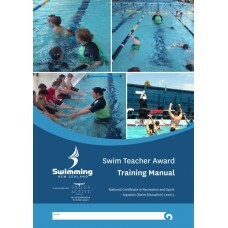 The SNZ Swim Teacher Manual is the resource around which the SNZ Swim Teacher Course is based. It is designed to offer the new swim teacher information and ideas when they start their swim teacher training. A revamp of the old ASTA manual, it has additional information on Health and Safety, Inclusion and water safety which will be useful for all swim teachers. On completion of this award, Swim Teachers also achieve the National Certificate in Recreation and Sport (Aquatics) (Level 3) – Swim Education. The Level 3 certificate is now widely accepted as the minimum qualification required for people to teach learn to swim.